The chamfer WM project started as an attempt to create a tiling window manager with an integrated Vulkan compositor. The shader based window decoration allows the user to play with completely arbitrary borders, gaps and shading effects. 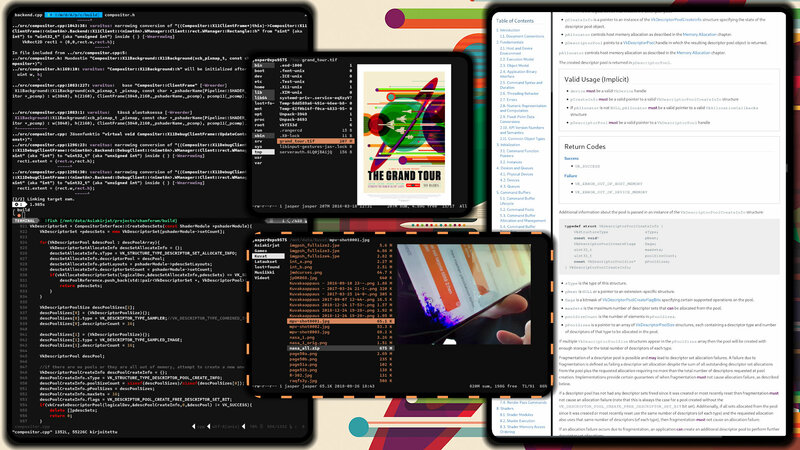 The window manager itself gets some of its inspiration from the i3wm, with some added features such as overlapping and layout fixed resizing within containers. Configuration is handled with a python script, where per-client and container level flexibility is provided. The WM is currently under active development, and closing point where many may consider it suitable for primary working environment. Please read the Code of Conduct and post only thumbnails or links to images.